In the 16 months since the Black Keys released their last album Brothers, the blues-rock duo have toured the world, accepted three Grammys, played SNL, rocked festivals like Coachella and Bonnaroo, and filmed a few videos. 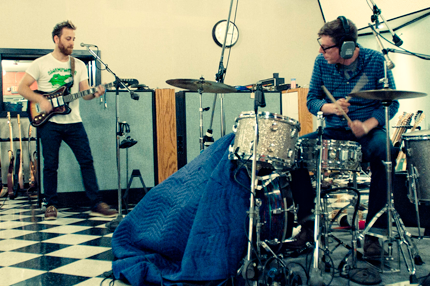 The Black Keys have released a comedic car commercial type trailer for their next album, El Camino, out December 6. It stars Bob Odenkirk from "Mr. Show" and "Breaking Bad". PANIC! AT THE DISCO COVER ADELE'S "ROLLING IN THE DEEP"